Weekly chess lessons return Thursday at the West Town Branch Library, 1625 W. Chicago Ave. Classes from 6 to 7pm through June 11 are supported by East Village Association fund-raising. 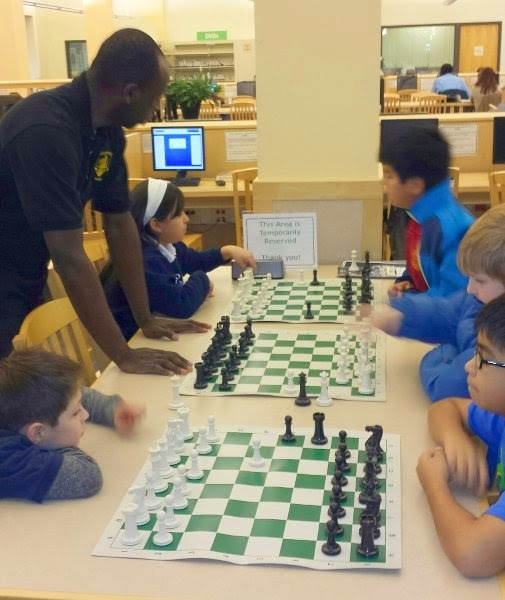 Segun Kamara, instructor from Renaissance Knights Chess Foundation, heads the drop-in program through March 3. Segun Kamara led a loyal following of 40 kids in 6 weekly lessons last fall.